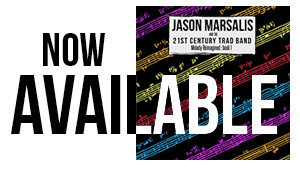 Jason Marsalis & the 21st Century Trad Band will be going on tour this month in support of their new release, “Melody Reimagined, Book 1”. This release coincides with the 20th anniversary of Basin Street Records, the record label that is releasing Marsalis’ new album. If you’re in the area, this is a fun show you will not want to miss!